JUST REDUCED!!!!! Beautiful 1-Story, 3 BEDROOM, 2 BATHS, 2-CAR GARAGE on premium lot that backs up to privately owned acreage. 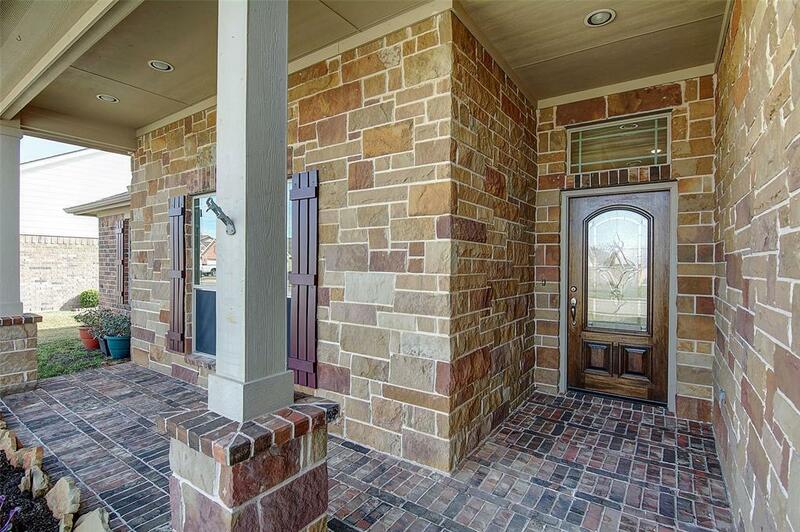 Attractive stone & brick elevation with inviting front covered porch. 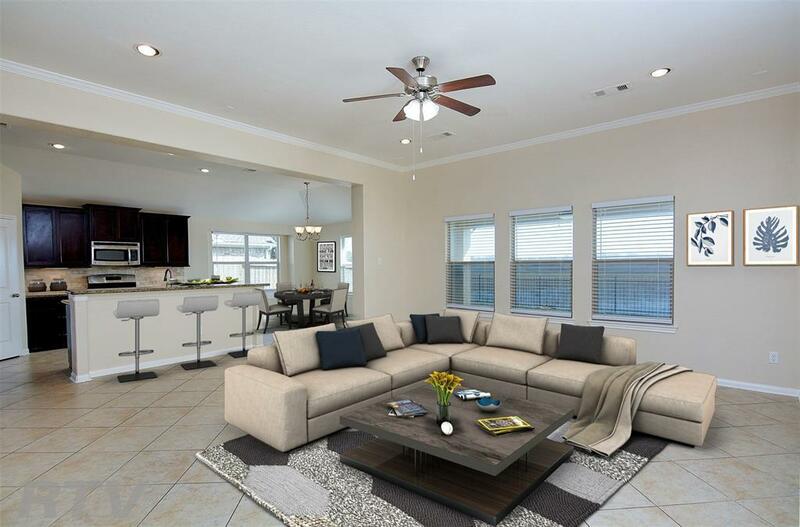 Adorable home features include desired split floor-plan, high ceilings, granite counters in kitchen and baths, 2 large closets in master suite. 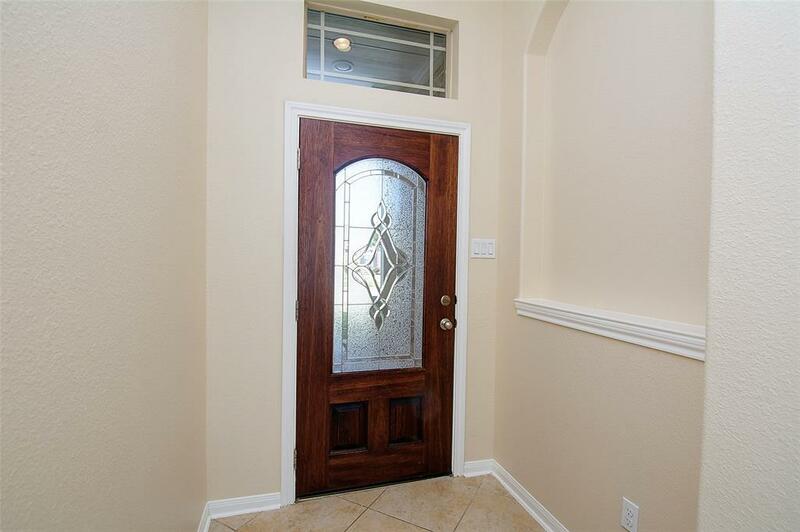 Classic tile flooring in main living areas and beautiful laminate flooring in bedrooms. Stainless steel appliances, under kitchen cabinet lighting, 2" blinds, ceiling fans, epoxy flooring in garage and all newly painted. 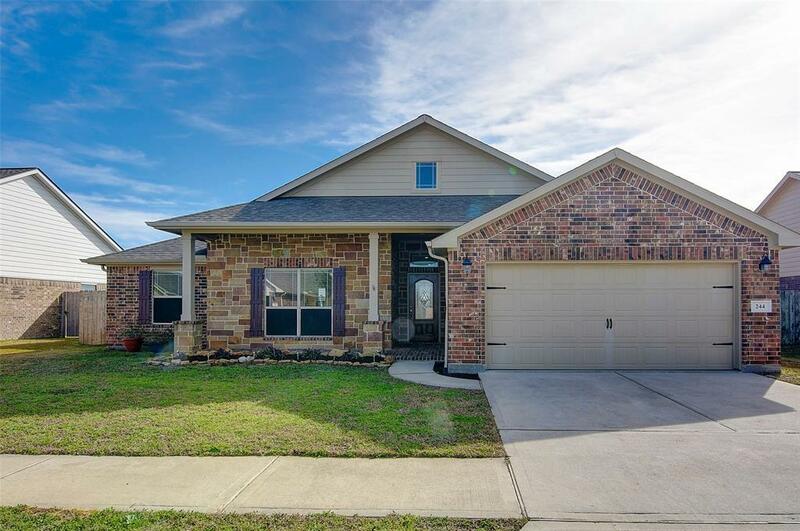 Enjoy sipping coffee under your covered back porch with pretty iron fence looking onto serene view of the pasture that rests at the rear of the home. No flooding EVER! LOW TAXES! Well maintained home, ready for quick close, priced to sell, won't last long!